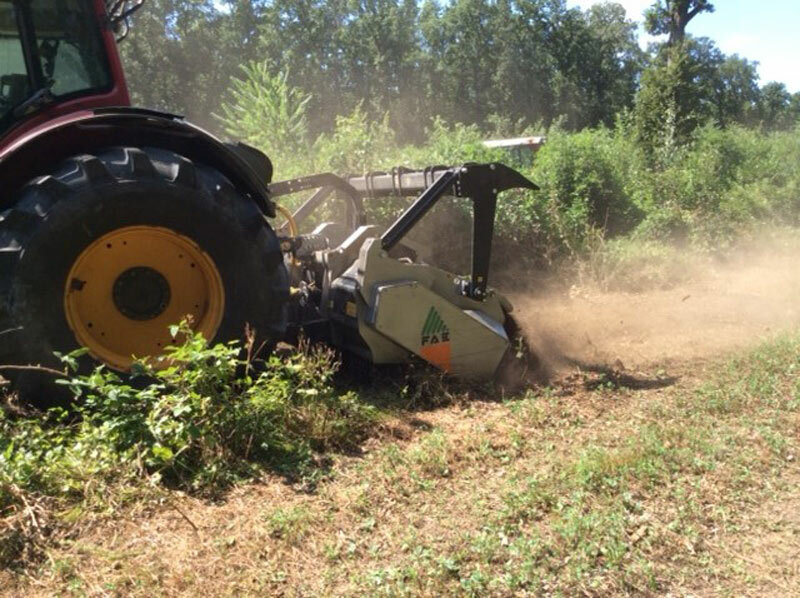 This Forestry PTO mulcher is characterized by its high productivity results and by a low power absorption, represents the excellence of FAE’s wide range of forestry mulcher, for shredding trees up to 40 cm / 16” in diameter. 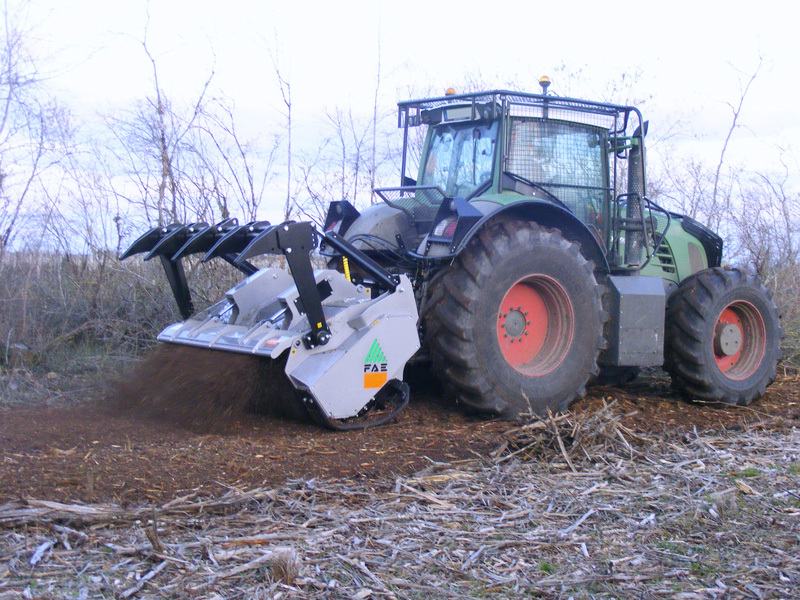 It is a machine designed and built to meet the need to work with more and more powerful tractors on the market today. 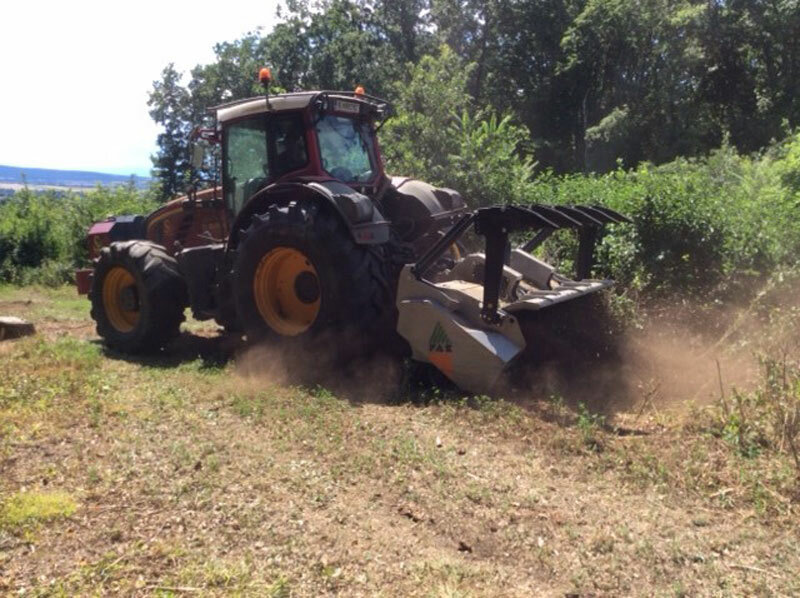 The transmission is in fact designed for the use with power up to 450 HP (HP version), while the S version can be equipped with hydrodynamic couplings to maximize the production capacity and at the same time protect the transmission of the tractor itself. 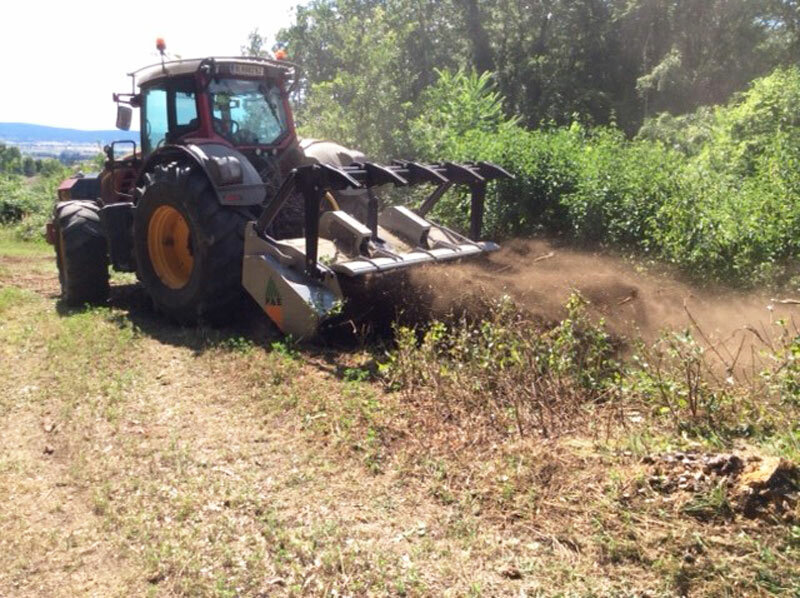 The double “anti-dust” chassis/body frame, ensures high performance and maximum safety of working and as well as the operator. 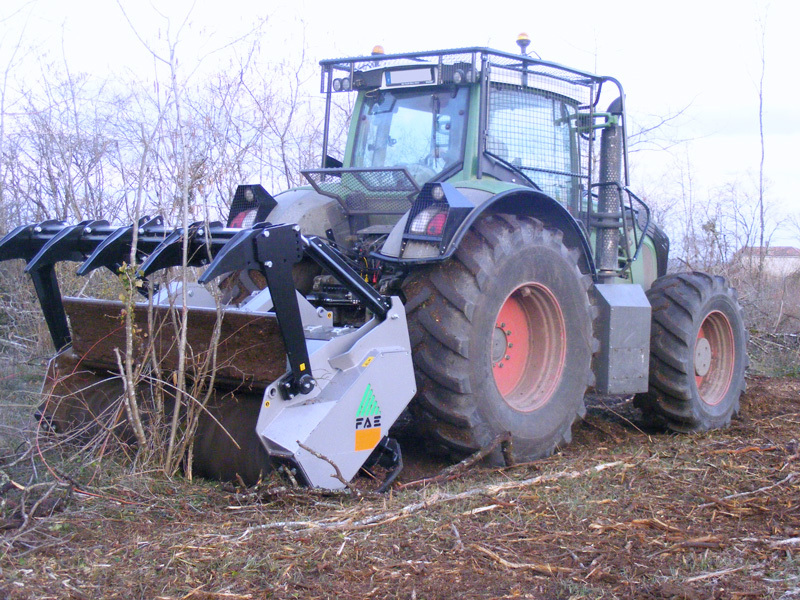 The completely revised frame of new generation, is characterized by its robustness, with the integration and the protection of cylinders and hydraulic link, third line interchangeable and externally bolted counter blades/inner lining for easy maintenance and replacement, centralized greasing hub, push frame with raker teeth and adjustable three-point linkage. 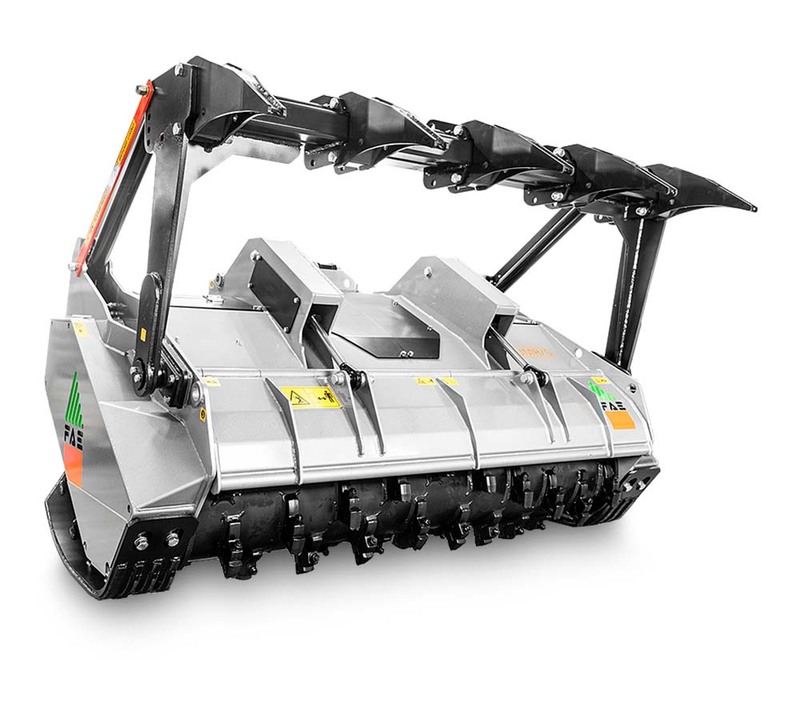 The rotor’s diameter of considerable dimension, ensured high performance, optimal material shredding results in terms of homogeneity, continuity and reliability make this model an investment made to last.